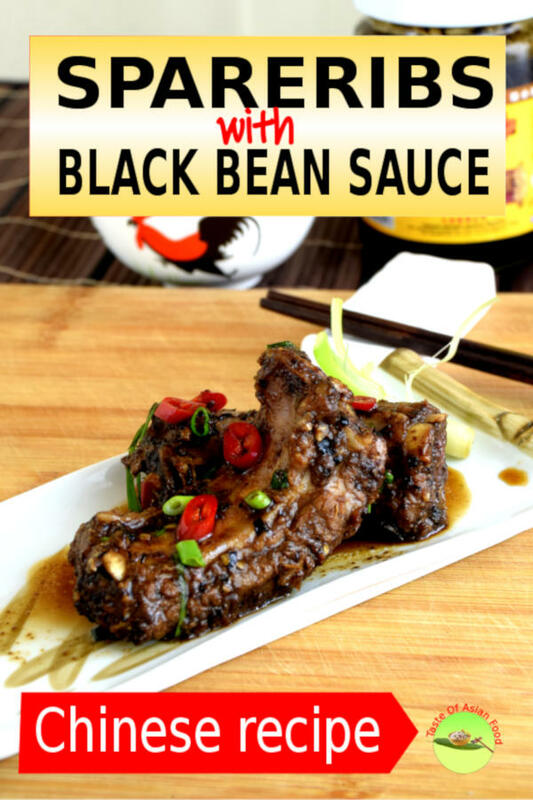 Chinese spareribs with black bean sauce 豉汁蒸排骨 is a savory and easy dish to make at home. This dish is one of the everyday meal for an average Chinese household. If you have tried the typical Chinese food available regularly in the Chinese restaurant, steamed spareribs with black bean sauce is one dish that will let you appreciate what the ordinary households are cooking at home. Black bean sauce has a robust, savory flavor, perfect for serving with steamed rice. I guess that is why the Chinese like it. 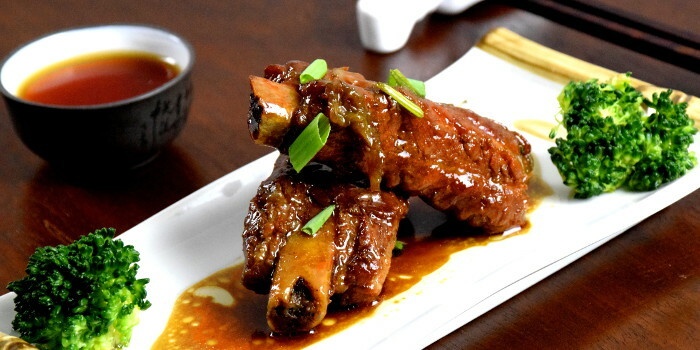 It is also a favorite dish among the dim sum selection, in which the chef will choose the ribs with a smaller size and serve in a bamboo steamer. When we talk about spareribs, I bet the word ‘steaming’ will rarely mention, as the conventional way of cooking pork ribs are grilled, baked, smoked or deep fried. However, just like many other dim sum dishes, this dish involves steaming. 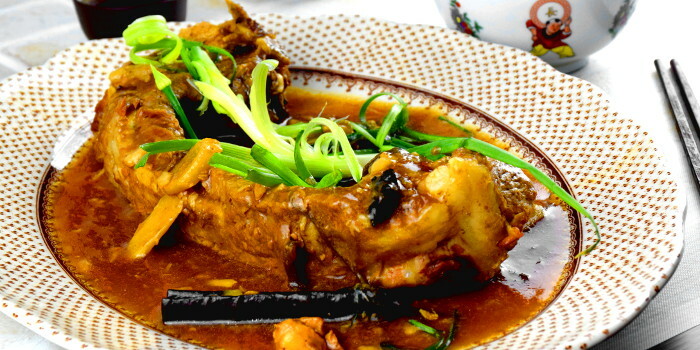 Let’s take a look at how to prepare steamed spareribs with black bean sauce. The ideal cut of the spareribs for this dish are those cut into short sections, about one to two inches long. The butcher will cut across the ribs, which means that it will cut across several ribs with a length about one to two inches. You only need to use a knife to slice through the meat in between the bones to separate the ribs into small riblets. This cut is favorite among the Chinese butcher and is easier to find at the large Asian supermarkets. Separate the ribs by cutting through the meat in between the bones. Place the spareribs under running water and rinse for about ten minutes. Once the color of the ribs turn pale, and the water runs clear, place the spareribs in a colander and drain. The purpose of this step is to remove the blood, unwanted smell and impurities of the spareribs. This method is especially useful to clean the spareribs purchase from the supermarket. They are not as fresh as those from the butcher and may have a bit of meaty smell. Black bean is the essential ingredient of this recipe. It has a strong, unique savory taste which can be recognized immediately. You can use the store-bought black bean paste, or start with the whole black bean. Lee Kum Kee is an international brand which is most likely available at your neighborhood Asian grocery store. 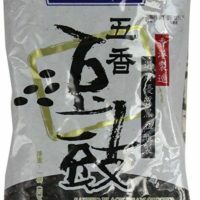 Ready-made black bean paste saves your work of rinsing and mashing the black beans without sacrificing the flavor. Most of the brands do contain some salt, so you need to take that into account for the overall saltiness. If you choose to do it from scratch, get the whole black beans from the market and soak them until fully hydrated. Drain away the water and coarsely grind with the mortar and pestle, and it is ready to go. Some recipe suggests adding the black beans directly on top of the spareribs before steaming. Others recommend to mix with the spareribs and marinate. I modify the method slightly by sauteing the minced garlic, ginger and the black beans with oil until aromatic, then only add to the spareribs to marinate. Sauteeing will make it more aromatic and marinating the spareribs with the black bean paste will let the bean flavor penetrates deep itno the interior of the ribs. 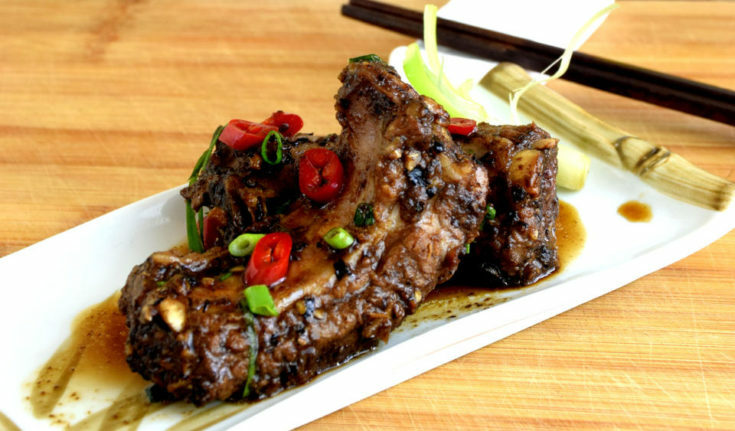 Marinate is an integral part of the steamed spareribs with black bean sauce. It lets the seasoning ingredients in contact with the spareribs long enough to absorb the flavor. It also helps to tenderize the meat. Marinate the spareribs for a minimum of one hour for the small pieces. I extend it to more than two hours for this recipe since they are slightly bigger. There are a few ways to set up a simple steaming station. The simplest (that is what most of the traditional Chinese households are using) method is to boil some water in a wok and place two chopsticks parallel above the water level. Place the plate of spareribs on the chopsticks. Put the lid on and steam over medium heat. The second method is to use a steamer rack which is more stable than a pair of chopsticks. This method is preferred because it is reliable and convenient. You don’t need to worry the plate may flip as the pair of chopsticks are less stable. 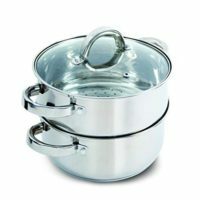 Lastly, purchase a steamer if you use the steaming method to cook regularly. 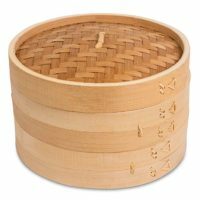 Place the plate in the dim sum bamboo steamer basket and cover with lid. 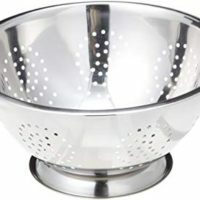 If you do not have the bamboo steamer, cover the spareribs with cling wrap to prevent water from dripping into the plate as a result of water condensation. Steam over medium to high heat with the lid on for about twenty minutes. The spareribs are cooked when the juice runs clear. It will result in a slightly crunchy texture but is still juicy and tender. 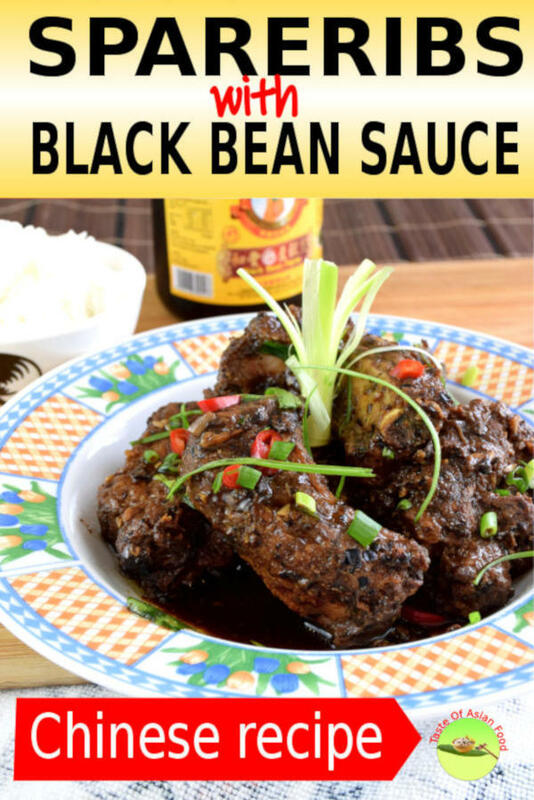 Chinese spareribs with black bean sauce 豉汁蒸排骨 is a savory and easy dish to make at home. This dish is one of the everyday meal for an average Chinese household. Separate the ribs by cutting through the meat joining them together. Place the spareribs under running water and rinse for about ten minutes. Minced the garlic and ginger. Coarsely chop the black bean. Saute with the vegetable oil until aromatic. Keep aside to let it cools. Add black bean, ginger, and garlic to the spareribs. Add the cornstarch. Combine and marinate for another half an hour. Arrange the spareribs on a plate in a single layer. Steam the spareribs over medium to high heat for twenty minutes. Garnish with chopped red chili and scallion. 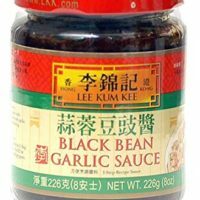 Lee Kum Kee Black Bean Garlic Sauce - 8 oz. 1 Response to "Chinese spareribs (with black bean sauce)"